This year, coinciding with Syin-Lu Social Welfare Foundation’s 30th Anniversary, a large festival was held at National Dr. Sun Yat-sen Memorial Hall on Saturday, April 22, 2017. Syin-Lu Social Welfare Foundation organized an annual event called “A Nice Day to Walk Together,” hoping that the public could gain a better understanding of the mentally-challenged by interacting with them through the festival, health walks, fun games of challenge, and charity sales, in order to eliminate discrimination. 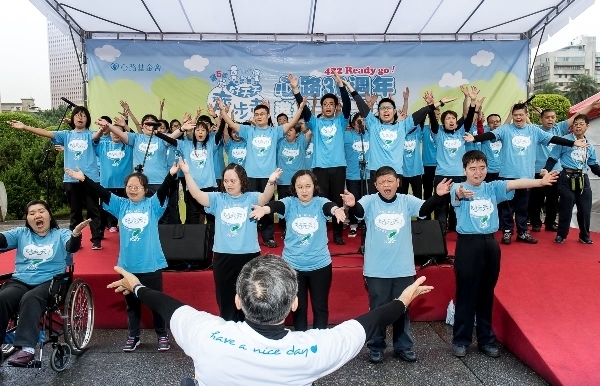 Syin-Lu plans to hold a grand public welfare event in four locations—Taipei, Taoyuan, Hsinchu, and Kaohsiung—so that more people can show support for employing those with physical and mental disabilities, casting away workplace discrimination. There were nearly sixty stalls at the event location to allow the public to enjoy food and play games, while comfortably engaging in the public welfare activities at the same time. 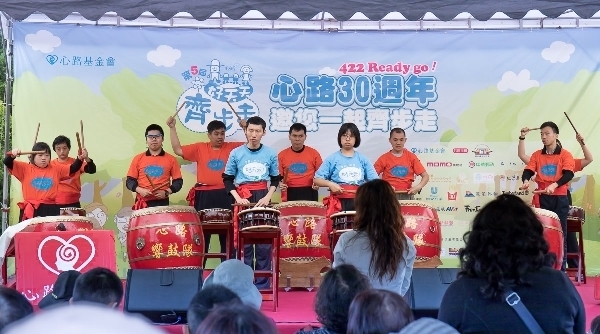 On top of that, kid-appealing Sesame Street characters, the stylish magician Chia-feng Li, Christian Gospel Mission’s ProviDance dance group, and the Syin-Lu’s drumming team and choir were all invited to this event and took turns performing. In addition, through completing fun games of challenge, people came to better understand the individuals with mental retardation, and they also observed the full range of services provided by Syin-Lu. They called on the public community along with businesses to overcome barriers and create a friendly social environment. Christian Gospel Mission’s dance group, ProviDance, and its subgroup were also invited to perform at the event. They are a group of dancers with Christian beliefs, comprised of members ranging from eight-year-olds to working adults. Through their passionate, energetic, and lively renditions of dance, they strived to bring forward life’s hope and love to the audience and to those with mental retardation. Pastor Jung Myung Seok, the founder and president of Christian Gospel Mission (CGM), said: “In our lives, we should endeavor to put God’s Word into practice and offer love through daily living. In this way, our artistry will ignite and our thanksgiving will overflow.” The songs featured on the day of the event included “So Good” and “Harmony,” suggesting that everyone is able to shed all the negative energy in life, allowing each day to become beautiful and healthy.